I’ve been growing through the science fiction classics that won a Hugo as my venture in this vast world of science fiction. I can honestly say that Hyperion absolutely blew me away. The individual stories from the seven pilgrims are impactful and on their own, incredibly good. As stand alone stories, I’d give them 5 stars. Taken together, the whole work is mind bendingly epic. Too often I had to stop the audio and truly think about the mastery of what I was hearing. The literary and historical references add icing to the cake of an already delicious confection. If you don’t know John Keats, you will by the end. If you are hesitating, please don’t. 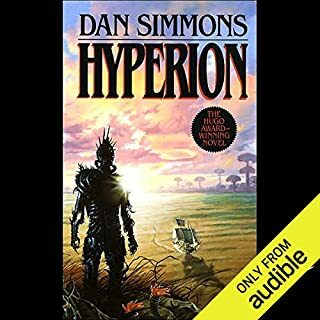 Read this book and be prepared to be swept away on a wonderful journey with one of the most compelling villains of the dark underbelly that is Hyperion. 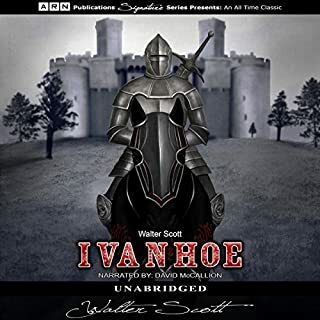 Ivanhoe is a marvelous audiobook experience. While some of the old jargon and slow initial plot work of the novel may deter some, stick with the book and prepare to be dazzled by the heroines, Rowena and most of all, Rebecca.